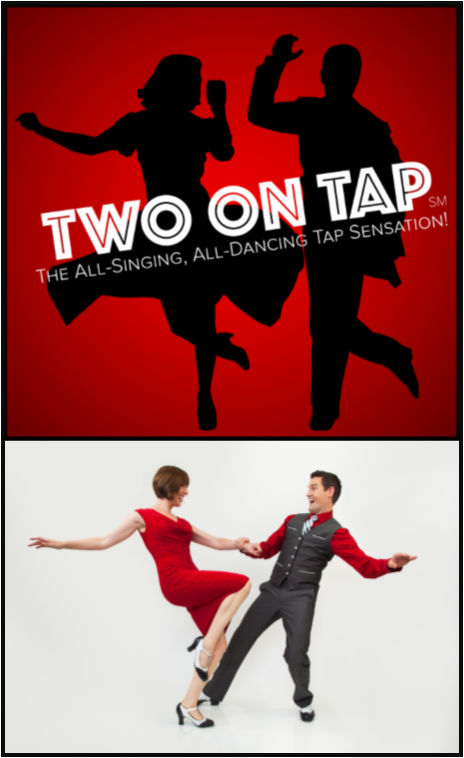 Two on Tap brings audiences back in time to the era when couples like Fred & Ginger and Mickey & Judy filled the silver screen with tight vocal harmony and precision tap choreography. Mix together equal parts of classic songs, fantastic vocals, gorgeous costumes and exciting tap dancing and you get Two on Tap! Celebrated performers Melissa Giattino and Ron DeStefano pay tribute to the Great American Songbook and classic Broadway song-and-dance in this fun, lively, and fast-paced show that gets crowds singing and dancing along from their seats. Featuring sensational new arrangements of standards like "I Got Rhythm" and "Yes Sir, That's My Baby," as well as rousing favorites like "Sing, Sing, Sing" and "L-O-V-E," Two on Tap uses fresh, original choreography to show how classic song-and-dance still endures and entertains. Two on Tap is a truly unique experience – soaring vocals, spirited dance numbers, and a vibrant, modern trip down memory lane for audiences of all ages.